Boston Medical Center is pleased to provide world-class facial plastic and reconstructive surgery for a wide range of conditions. Located in the state-of-the-art Moakley facility on BMC's main campus in Boston's South End, the team provides clinical excellence and compassionate, coordinated care. Valet parking is also available to those visiting the Center. Waleed Ezzat, M.D., F.A.C.S. is double board-certified in facial plastic and reconstructive surgery and otolaryngology/head and neck surgery and Director of the Division of Facial Plastic and Reconstructive Surgery at Boston Medical Center. He is a fellow of The American Academy of Facial Plastic and Reconstructive Surgery, The American Academy of Otolaryngology/Head and Neck Surgery and The American College of Surgeons. As an Assistant Professor at Boston University School of Medicine, Dr. Ezzat frequently presents and lectures at national and international conferences. He received his training at the University of California – Los Angeles and specializes in cutting-edge techniques in facial aesthetic surgery geared toward producing natural-looking results. Dr. Ezzat believes that all cosmetic procedures should enhance the appearance of the face – not completely alter it. 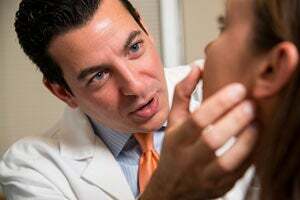 Just as every individual's face is distinctive and complements the rest of the body, Dr. Ezzat and the Boston Medical Center are committed to providing a patient-centered, specialized approach to facial plastic and reconstructive surgery. Because no two faces are alike, Dr. Ezzat spends time with each patient to develop a tailored approach to improving aesthetics and function. 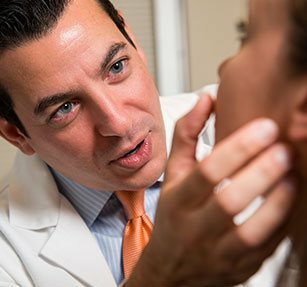 Through the Division of Facial Plastic and Reconstructive Surgery, he offers a wide-range of services, from minimally-invasive injectables to surgical procedures designed to aesthetically enhance the face and neck. Dr. Ezzat also performs Advanced Facial Reconstructive Surgery for traumatic and congenital deformities as well as abnormalities as a result of cancer. At the initial consultation, patients will meet Dr. Ezzat. After sitting with Dr. Ezzat to discuss concerns or condition and performing a physical exam, Dr. Ezzat will review with the variety of options available to help patients attain the look they desire through a customized treatment plan. Call 617.414.4980 for more information or to schedule an appointment.